AstroMundus is a 2-years Erasmus Mundus Masters Course (120 ECTS) in Astronomy and Astrophysics offered by a consortium of 5 partner universities (University of Innsbruck, University of Belgrade, University of Goettingen, University of Padova & University of Rome Tor Vergata) in 4 different countries: Austria, Italy, Germany, and Serbia. Successful students will be awarded a Joint Master Degree by all partner universities they have visited during the Master studies. In addition they will obtain a Diploma Supplement to facilitate the recognition of their degree in other universities / countries. At the end of each 2-years cycle of the Master Programme the best master thesis of the cycle will be awarded a prize. 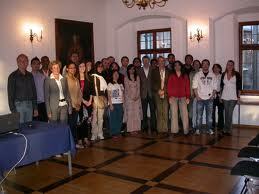 Applicants that wish to apply also for an Erasmus Mundus scholarship will have to state so in the application form. No additional application is required. Students that already received in the past an “Erasmus Mundus” scholarship are not eligible for a new one. Also, a student can apply for a maximum of 3 different Erasmus Mundus Masters Courses starting in the same academic year. Students that apply for more than 3 EM Courses will be excluded from the selection for an Erasmus Mundus scholarship. 1. Category A: They are intended as full scholarships and are reserved to Third Country students. Category A scholarships cover the registration fees (including the insurance), include a contribution to travel, installation and any other type of costs of 8000 €, and a monthly allowance of 1000 €/month for the whole duration of the Masters Course (22 months). 2. Category B: They are intended as a financial contribution for European students or for students that have carried out their main activity in one of the European or associated countries for more than 12 months during the last 5 years. Category B scholarships cover the registration fees (including the insurance), include a contribution to travel, installation and any other type of costs of 3000 € (this contribution is provided only to students that will have a mobility period at the university of Belgrade), and a monthly allowance of 500 €/month for the whole duration of the Masters Course (22 months). Demikianlah informasi mengenai Erasmus Mundus Master Scholarships in Astronomy and Astrophysics, AstroMundus, Europe semoga berguna bagi anda.